What is Secret Lives of Glaciers about? When we talk about glaciers today, the conversation is often dominated by how they are disappearing. What’s missing from that story is you and me — people worldwide — and how ice influences us just as much as we influence ice. This book presents the stories of people who live among glaciers on the south coast of Iceland, telling how people and ice interact in many unique ways. I’ve been researching the stories for this book for about the last five years. I wanted to understand the mutual influence between people and ice in this place. 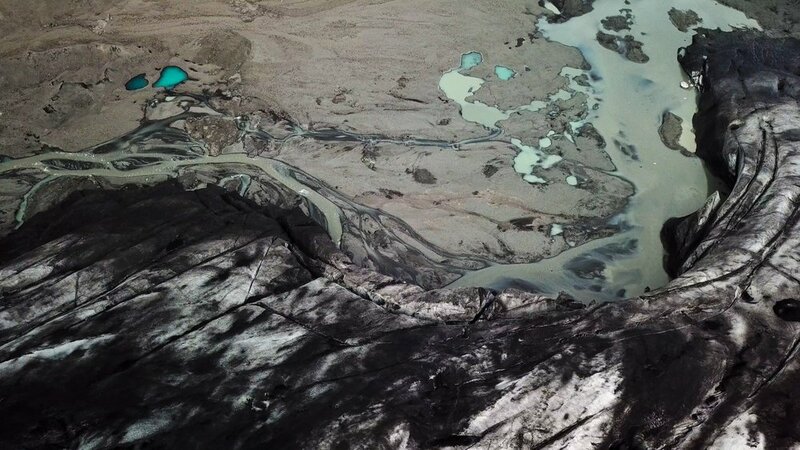 One of the things I really love is that the product of this research, The Secret Lives of Glaciers, truly illuminates what it means to be human in this time of worldwide climate change. Why Iceland in particular, and not any other glacial region? I chose to write a book that focuses entirely on the south coast of Iceland because this region is a good representative example of the kinds of stories I’d been hearing in glacial communities around the world. I didn’t want to have to talk about glaciers worldwide — though that’s my next project, an atlas of the world’s ice. I needed a place that was geographically and narratively containable, where I could dive deep. I wanted to get into the specifics of a single place to show all its nuances. 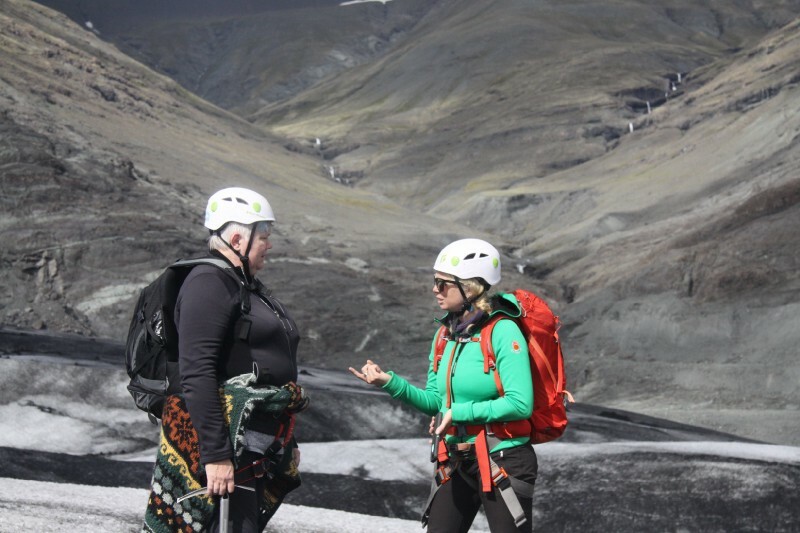 It was also important for me to write about a place where I felt comfortable, and I’d already been doing research in Iceland for about ten years. The type of work I do is slow—I’m trying to understand people and ice — together. That means 50 percent of my fieldwork focuses on trying to understand glaciers, and 50 percent focuses on trying to understand the people around them. I spent the first few years doing a lot of the quantitative physical geography needed for this project: measuring, monitoring, predicting the region’s glaciers, spending weeks out on the outlet tongues getting to know the glaciers as individuals, with individual responses to local conditions. In later years, I started focusing on the human geography of the area, using all sorts of qualitative methods such as semi-structured interviews and oral histories to the heart of how people and glaciers integrate with one other in this community. I found that it takes a long time for people to trust enough to give you thoughtful conversations that you have again and again. People there had to trust me in order to talk to me about what they fear, what they hope, what they deny, what they believe. Tell me how you went about getting these stories. This is tricky. You can’t just go up to somebody and say, “How does ice influence you?” I can’t tell you how many kitchen tables I sat down at to speak with women to whom I’d say, “Tell me about what’s happening with the ice here.” They’d say, “I don’t know anything,” or, “Oh, ask my husband.” But then you’re washing dishes and their kitchen window looks right out on the glacier, and they’d start telling me what they’ve seen on this glacier, what their grandmother taught them about it, a story they’d heard. Over and over I found people who thought they knew nothing actually knew so much more about ice in profound ways that differed from the best glacier experts from Reykjavík. I asked about ice and I listened. I didn’t ask any set questions because I was worried I’d be putting parameters on the range of possible knowledges and experiences. I just needed to be there for a long time, and be open to anything. I had coffee in kitchens for years. I spent a lot of time walking the landscape with people. I spent a lot of time not talking about glaciers. What are some of the social effects of glacial melt in Iceland that we might not have considered? Some people are worried about losing their identity as the ice disappears. Young people, especially, would ask me, “Can we still be Icelandic in Iceland without ice?” I also had some, particularly older, people say that it was the very best thing in the world that this ice was melting, because it would no longer flood and destroy their families, farms and futures as it had for the last hundred years. Some people laid bank statements down in front of me, saying, “We’re making so much money as the ice melts because people are coming from all over the world to see it before it’s gone.” Scholars call this last-chance tourism. Local people are opening tourism companies, guiding companies, hotels, restaurants — you can really see the economic benefits that glacier tourism has brought to the area. On the other hand, some fishermen say that economic instability is coming because as the ice melts, it’s causing the land to spring back up — a phenomenon called isostatic rebound — which means the only harbor on the south coast is increasingly becoming too shallow for fishing boats to come in and out. What happens when a cornerstone of the economy — fishing — might no longer be viable because of glaciers? There are little changes, too. One artist told me, “There’s no more blue paint to buy in the village.” The glaciers are changing so suddenly, painters have to use more blue paint to depict this landscape that used to be covered in snow. So now they have to order it from England. That’s one little detail that makes up part of the much larger story of how people are living with so much change. Why does acknowledging the advantages and disadvantages of climatic change matter? One of the most difficult things about intensifying climatic changes is that people experience climate change in a range of different ways — and they interpret those experiences through a range of values. No surprise: we do not agree on how we all experience climate change. I think that’s one of the big roadblocks we’re going to have to navigate, and that’s one of the things that The Secret Lives of Glaciers explores. What if, instead of arguing about whose experience is right, we instead look at what we have in common, starting with the facts of what’s happening now? 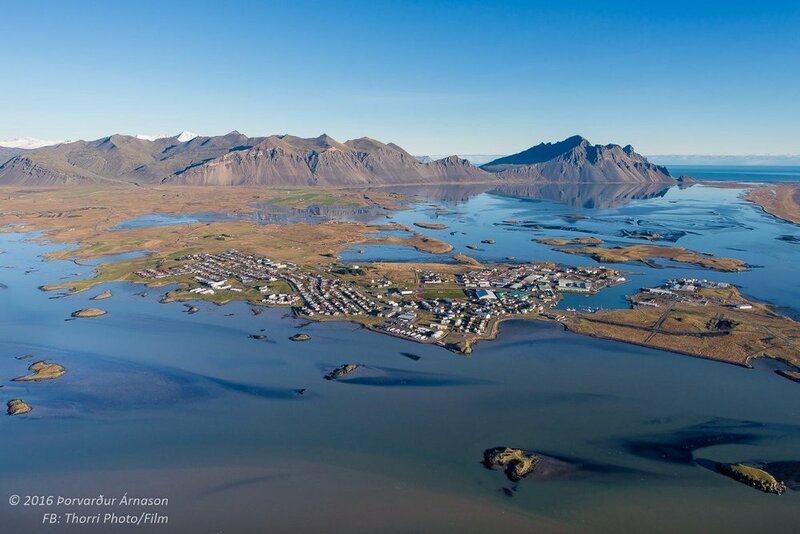 On the south coast of Iceland, the glacial melt has the capacity to unite the whole community. Whether their experience of it is positive or negative, every single person living there is experiencing environmental transformation. Writ large, environmental transformation is happening in every backyard worldwide today. Increased desertification, sea-level rise, shifting weather patterns, earlier gardens, different flora and fauna — everyone on Earth is experiencing some kind of change right now. If our starting point is acceptance of this fact, we’ll be better able to break free of trying to convert someone else to our own value structure, which is not a productive way to move forward. I think it’s going in that direction. For a long time, the conversation was about trying to prove climate change is even happening. Today, we are assigning value — “climate change is bad” — in order to create movement and change. The theory is that if we all agree that climatic changes are happening and this is negative, we’ll get everyone to take action. From my point of view, though, that’s putting the cart before the horse, because what happens to all those people in Iceland for whom the changes might feel positive at this moment? Some of these people feel guilty about becoming wealthy due to the changes, and they tell me they feel they can’t participate in the climate change conversation because they know that climate change is bad. How to reconcile this paradox? We need to include everyone in the conversation, and if we oversimplify climate change to “all impacts are bad,” we’re going to exclude many people experiencing a whole host of changes, whether they’re personally beneficial or harmful to them. It gets really confusing, tangled, complex. So complex, in fact, that it’s easier to either oversimplify or just turn it all off. Overall, we need a more informed and nuanced dialogue about what’s happening, inclusive of scale and nature of impact. What’s important to focus on is that environmental changes are already transforming how we all live. If we can get our heads around that, then we can build policy on a framework that takes into account all the human and physical geographical effects, and hopefully deal more effectively and in a more unified way with humanity’s need to adapt. If the climate leaders at the recent UNFCCC conference were to consider climate change with this perspective, how might they approach policy making differently? Iceland’s a good example of how this might work. Most of the ice falls within the borders of Vatnajökull national park. Climate change is increasing air temperature, and glaciers are melting — that’s the most basic and fundamental environmental change happening there. So how does the government build a management strategy for something that’s changing so quickly? Then, how do you engage with the whole community — both the people who are benefitting and those who are not? How do you get all the people together and make policy so that everyone can both live together peacefully as well as adapt to — and potentially mitigate — these impacts? One of the ways the government has been successful is documenting the changes without assigning value judgments. They say, “Vatnajökull Glacier has recessed x amount. Here’s what local people say about it. Here’s what the scientific data says about it.” People are then able to interpret the facts as they will, and begin speaking to each other to move forward to create policy. This, of course, is not perfect, as people do not perfectly interpret individual experiences nor scientific data. So it is all a work in progress, but I like that there are multiple knowledges presented and engaged with. Extrapolating to the rest of the world, if we were told that we’re exceeding carbon levels and, instead of arguing about whether it’s happening or painting a picture of doom, we discussed many of the specific impacts already occurring — including what could be perceived as beneficial or positive — I think a lot more people would have a buy-in.